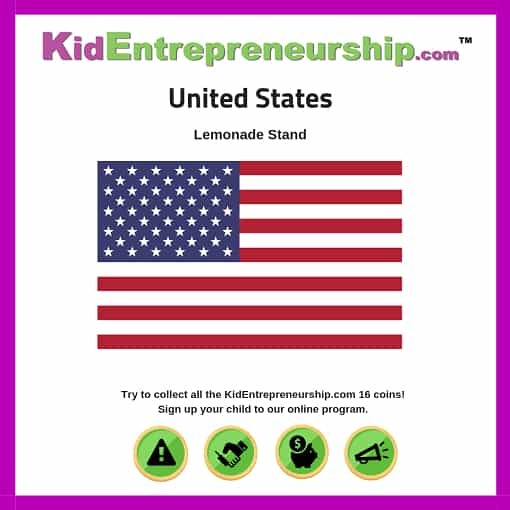 The most popular first business idea for children to start in the United States is a lemonade stand. This classic business has gone back to grandparents when they were kids. Although there has been recent controversy regarding the requirement of a food permit to sell in different states, this kid business idea is sure to draw customers in the United States, especially on a hot summer day. Expenses are minimal: lemonade, ice, and cups. Keep all the lemonade you make in a pitcher instead of pre-pouring into a cup. It is easier to keep one pitcher cold then a 10-20 individual cups. What should you charge per cup? First, determine your cost per cup. Add up the price of all your lemons, bags of ice, and pack of cups. Let’s say the total price is $20. Next, determine how many cups of lemonade can be made with your materials. If you can make 50 cups of lemonade, then simply divide $20 by 50. Your cost per cup is $0.40. You can now set your price per cup. If you set the price at $1.00, you can make $0.60 per cup. Multiply $0.60 by 50 and your lemonade stand can make $30 in profit. Not bad for one day of work as a kid entrepreneur! Want to see more kid business ideas? See a full list of business ideas for children. 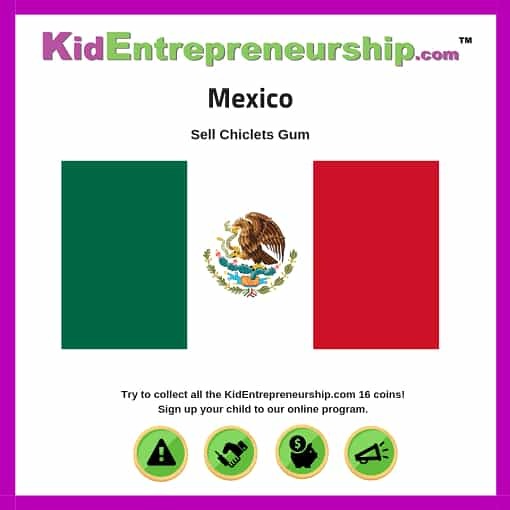 Chiclets is a popular candy among children in Mexico. Selling the gum is a great first business for children to start. You can easily buy the gum in bulk and sell individual pieces to friends, family, and your neighbors. On Amazon, you can buy 5 pounds of Chiclets gum for $14.49. Break up the individual Chicle Tabs into small bags and sell them for a profit. Put a sticker on the bag with your business email so customers can contact you to purchase more in the future..
Luckily, there are minimal expenses for this business. All you need to buy is the gum and plastic sandwich bags. Any child can get this small business up and running. Marketing for this business will mostly be from word of mouth or handing out business cards. Your child can also message their friends on social media. Do not give Chiclets to infants since it may be a choking hazard. The majority of Canada receives snow each year during the winter. One day in Tahtsa Lake, B.C., is snowed 145 centimeters (almost 5 feet) in just 24 hours. Keeping your driveway and doorsteps free of snow can be a hassle every day. 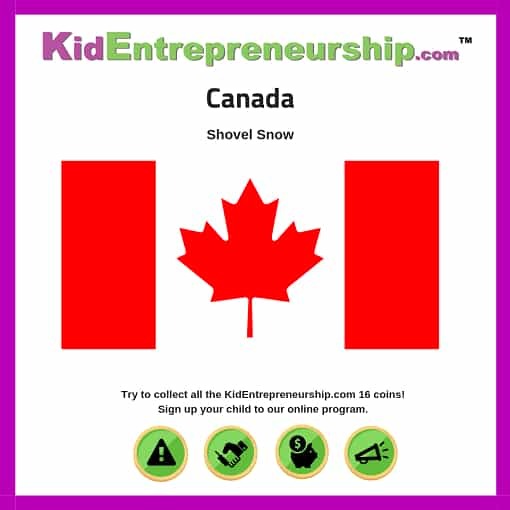 A popular kid business in Canada is to shovel snow since there is such a high demand for this service, especially among senior citizens. For a child, this business is convenient since your service can be provided for neighbors. With a parent, go up to each neighbor and pitch your shoveling service. Determine a pricing structure that will work for your customers whether it is weekly or monthly. You could charge a house $10 a week to shovel snow off their pathways. Not only will you be making money with this idea but you’ll also get a great workout. Make sure to always wear proper protection during the cold weather including a large coat, gloves, and boots. You could even charge an extra $1 to build a snowman on the front lawn.